This question is public and is used in 323 tests or worksheets. A scientist examines a tissue sample under a high-powered microscope. 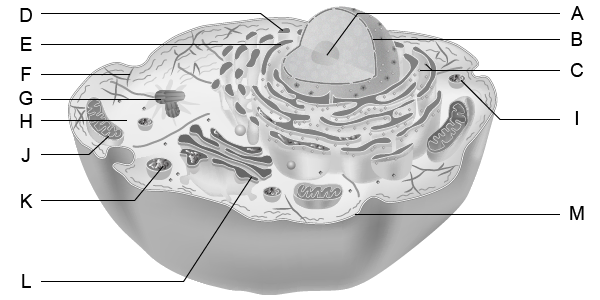 In his lab notebook he makes a sketch of one of the cells he observes. Which label should be used for structure A?